A frantic half-hour of music that still manages to squeeze in 12 tracks, the second studio album from Ontario's Sum 41 contains some terrific punk-rock-metal hybrid music. Does This Look Infected? 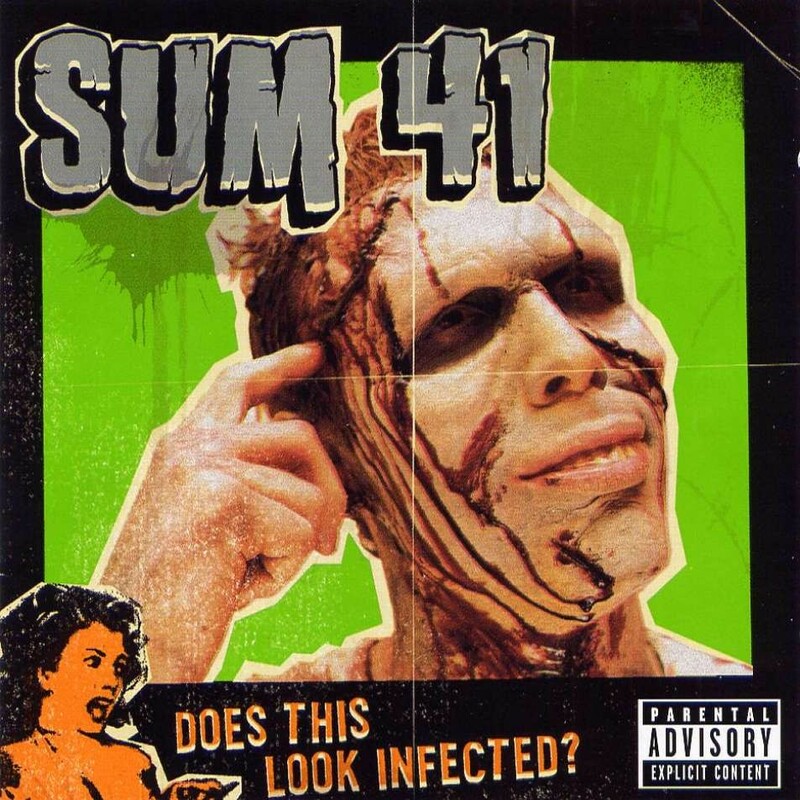 also proves that collectively, Sum 41 suffer severe musical Attention Deficit Hyperactivity Disorder: no track makes it past the 3:30 mark, and the band appears incapable of drawing a deep breath and allowing their songwriting to benefit from the flow of sustained oxygen. The brevity of the songs means that there is only ever time for a first impression. Fortunately for Sum 41, on four occasions they hit the nail squarely on the head and deliver outstanding songs. Three of these, The Hell Song, Over My Head (Better Off Dead), and Still Waiting are in the same style: quick pace, simple and to the point structures, and unquestionably catchy melodies built on Dave Baksh's energetic staccato guitar, Deryck Whibley's vocals complementing the music with a punk ethic that is more cuddly than snarly. But the most interesting track on Does This Look Infected? is Mr. Amsterdam. Sum 41 ever so briefly abandon the fun-is-all attitude and get down to some serious metallic riffing. But they cannot sustain it for even three minutes, and obviously the band do not take themselves seriously as a metal act: everything is fleeting, which is all the more frustrating when the talent and potential to be heavier is this obvious. Most of the rest of the album is listenable without demanding too much concentration, although A.N.I.C. does manage to irritate despite clocking in under 40 seconds. Does This Look Infected? is both satisfying thanks to the concentration of high quality tracks, and disheartening for the opportunity lost to be so much more. And to answer the question, yes, the guy on the cover most definitely looks infected. Mixed by Andy Wallace. Engineered by Greg Gordon.